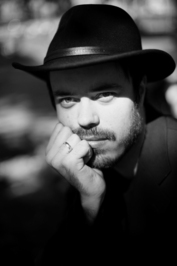 In 2013 his novel Illska (Evil) was no Eiríkur Örn Norðdahl is an Icelandic writer. Born in Reykjavík in 1978 and raised in Ísafjörður (in the northwest of Iceland (in the middle of the Atlantic Ocean (which covers a sizable portion of the globe))). For 21 years he lived in the same house but has since then lived in Berlin, Trondheim, The Faroe Islands, Reykjavík and various places in Denmark, Finland and Sweden. He's published loads of books through various organizations, some of which he helped found, and others he helped bankrupt (see a full list below). He currently lives in Ísafjörður. Sometimes Eiríkur makes (award-winning!) animated poetry and quite often he performs (mind-blowing!) sound poetry at festivals of art, music and poetry. 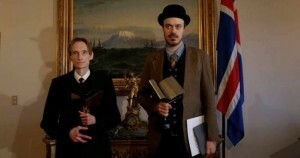 Eiríkur Örn Norðdahl and Gunnar F. Guðmundsson receive the Icelandic literary award. We’d love your help. Let us know what’s wrong with this preview of "All You Zombies..." by Robert A. Heinlein. We’d love your help. Let us know what’s wrong with this preview of The Slynx by Tatyana Tolstaya. We’d love your help. Let us know what’s wrong with this preview of Waiting for the Barbarians by J.M. Coetzee.